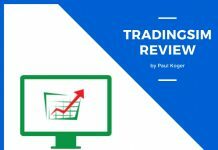 Home Reviews Etoro vs Plus500 – Which one to Choose? 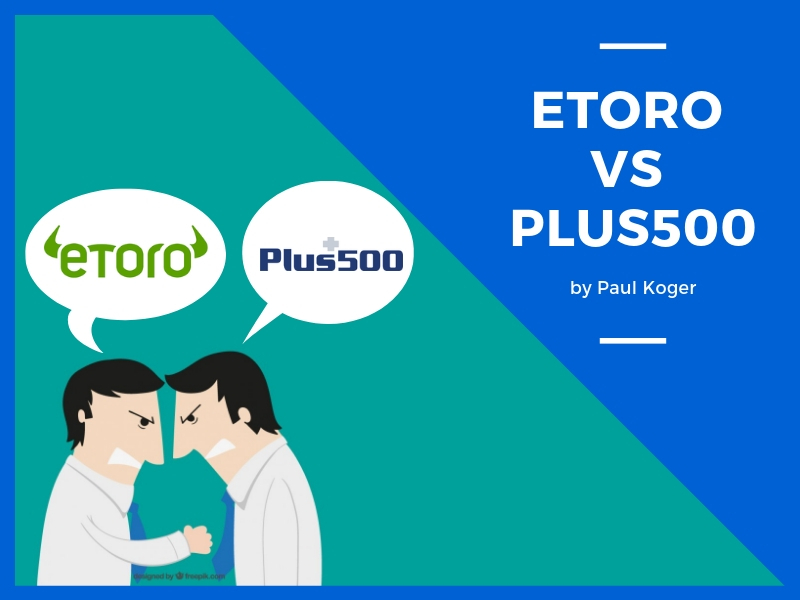 Etoro vs Plus500 – Which one to Choose? I’ll start off with the verdict so that you wouldn’t have to read everything through if you don’t want to..
For a more in-depth comparison of the two, keep on trucking reading..I’ll also show some cool features that both of the platforms have that you might have not known before. 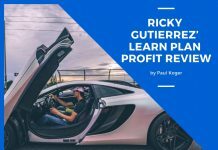 Both of the platforms are made for beginner traders that are just taking their first steps into the world of day trading. Having that in mind, the developers have made both of the platforms super easy to use. You get to navigate via different instruments in a breeze and putting on trades is so simple that my grandmother could do it. 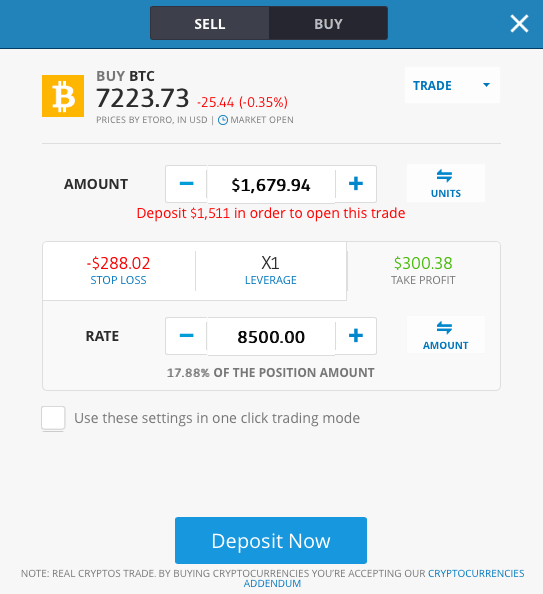 You get a left-side menu that helps to navigate through tradable instruments, the positions you have open, orders you have entered and check the positions that have been closed. In the trade view, you can easily search for an instrument you want to trade or pick it from the list. Also the graph on the bottom makes it easy to check charts quickly and also to quickly browse different time periods. Making trades is also fairly simple. All you got to do is press Buy or Sell and fill out the form that appears on the right. Overall I think it’s hard to find a more easy-to-use platform than what Plus500 has come up with. Although Etoro doesn’t fall far behind. They have also come to the realisation that in order to attract beginner traders that are only just entering into the world of trading, you can’t shove super technical platforms into their faces. If you do that, your customers are going to vote with their feet and leave. It has a tonne of flashing lights going on, with many different colours and options to choose from. It can be daunting the first time you land on it, but once you get the hang of it, it gets a little better. 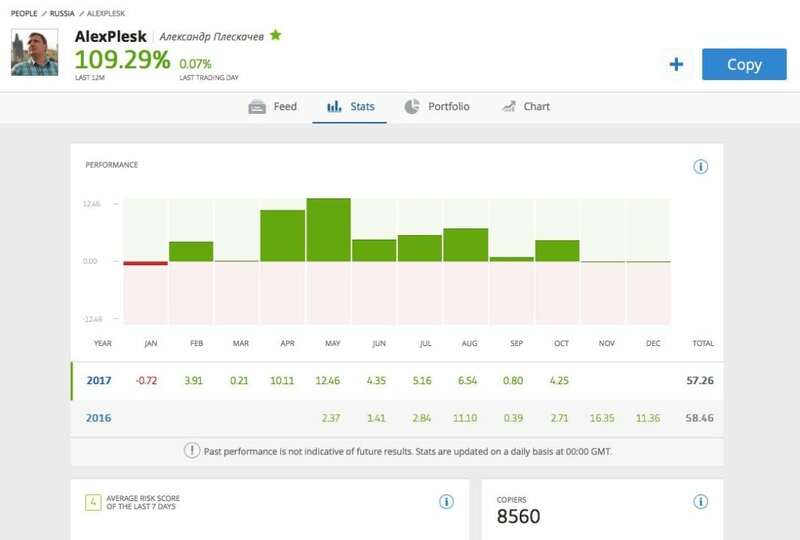 Etoro has a lot of additional features, that Plus500 doesn’t have. This is because Etoro is a social trading site. 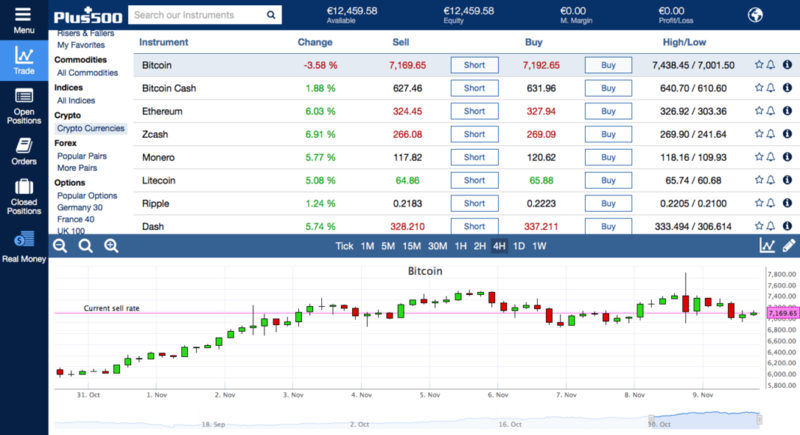 They show you market sentiment – what the other users are doing with the instrument, are most of them buying or selling. On the above example, we can see that 95% of the users are buying Bitcoin. Also there are a tonne of other features related to copy trading, such as being able to copy other traders based on their results. I’ve covered this in greater detail in my review article of Etoro. I suggest you check it out, if you want to learn more about the feature. Once you manage to locate an instrument that you want to trade, the charting options are a lot better compared to Plus500. There are also a tonne of extra gadgets to use for customising the chart if you like. This is something that I personally like to use. I don’t like to get too crazy with it, but the main things that I like are included, which is nice. You get to choose your stop loss and profit target levels by either the dollar amount or target levels. It doesn’t display the lines on the chart for you, but as you can see the chart behind the box, you can handle setting the price levels pretty easily. I like that both of the brokers have made it fairly simple to add stop loss and profit target levels. 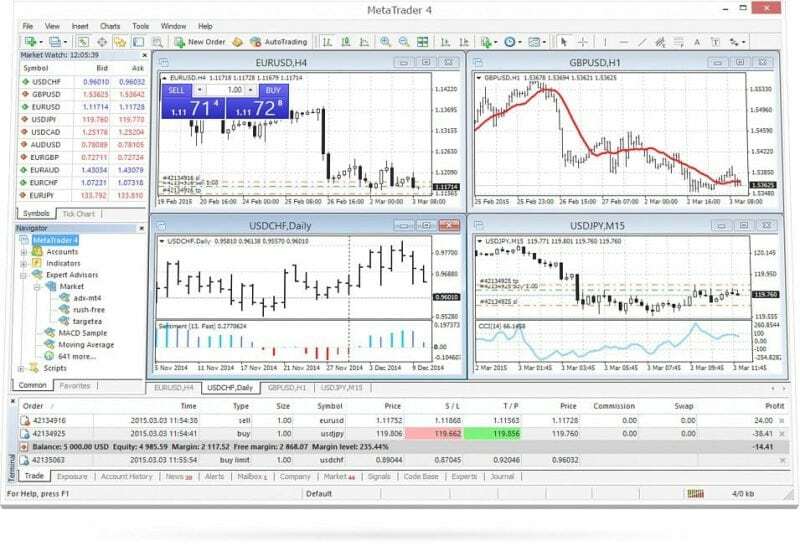 It is a lot more difficult to do on other platforms that use Metatrader 4/5 or some other internal option. 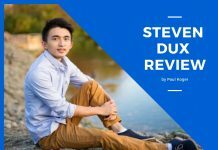 As a beginner, you are more prone to make technical errors, both Etoro and Plus500 have tried to minimize this risk through simple solutions that I showed above. If you’d like to compare them to other commonly used brokers, then below is a picture of popular Forex trading platform called Metatrader 4. It seems super complicated to me and I have been using that for over 4 years. The only reason to choose such an “ugly” option is to reduce your trading costs. More on that in the following section..
Spreads: Trading spreads for currencies starting from 3 pips. That is on the high side for forex brokers. It doesn’t get much higher than that, although most brokers have spreads starting from the 1-3 pip area, so yea, it’s on the higher end of the spectrum. However, if you’re not doing scalp trades, this isn’t too big of an issue. Other fees: They have no fees on deposits, but they do charge a 25$ fee on withdrawals, which is quite expensive if you have a small account. Etoro also charges a fee on overnight holdings. For a more extensive list of Etoro fees, head over to their fees section on their homepage. Spreads: Those guys have slightly smaller spreads for instruments, starting from below 1 pip. The spreads are dynamic, meaning that they change depending on how much the instrument is moving. Other fees: They also charge fees on overnight positions to cover their funding costs. This depends on the instrument you’re trading and is usually a certain percentage amount per day. This means that if you hold over the weekend, the fee is going to be 3x the daily charge. In addition to the above, there is an inactivity fee of 10$ if your account has been not used for a certain period of time. They say that this is for keeping the service available for you, even when you’re not trading. Etoro and Plus500 both have thousands of instruments to choose from, including forex, stocks, commodities, indicies, ETF-s, Cryptos. 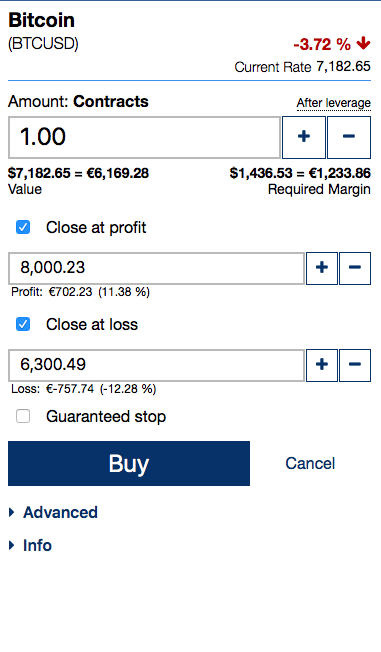 Plus500 also offers options trading, which Etoro doesn’t have. Other than that, they are really similar. 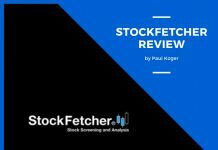 I tested both of them with a few famous stocks from different markets and both brokers had them in their list of instruments to trade. The stocks were Apple, Google, Lufthansa, Tesla, Berkshire Hathaway B stock. This makes sense as they’re making money off of you making trades so they are motivated to provide an extensive list of instruments to play around with. In this section, I’d like to go over some cool features that one broker has, which the other doesn’t. Displaying stop-loss and profit target levels on charts when adjusting them. This may not seem like much, but in reality, it is a super cool feature. Why? Well I figure that most of you are technical traders, making your decisions based on chart patterns (I do that myself). And as a technical trader, it is super useful to see visually where to set your target levels. When I’ve recognised a price pattern that seems interesting to me, but I can’t be behind my trading screen all the time, Plus500 has the option to set an alert. What you can do, is set a price level where you would like to get notified at, and the broker will send you a notification either via SMS or e-mail. 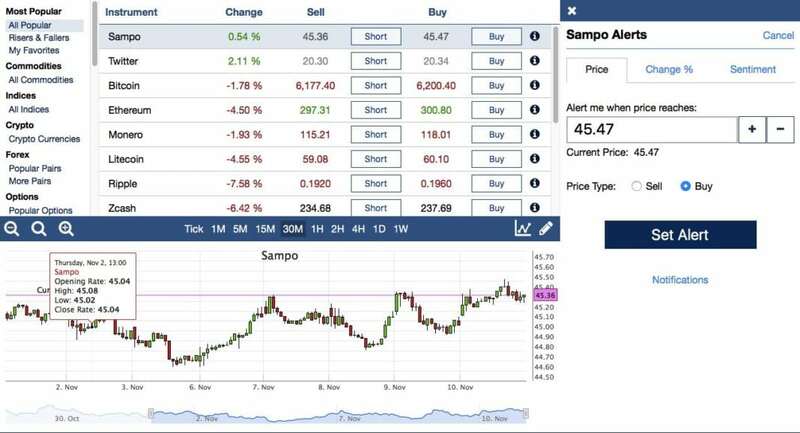 In the example above, I’ve noticed that Sampo is trying to break out from its’ current price range. It has tried to do so once, but failed. Now when it tried for the second time, I would like to get notified. For that I’ve set an alarm at previous high. Should the price climb back up there, I would get an SMS notification and I could start a trade from either my phone or computer. That is handy if you’re not someone who could remain behind your computer, monitoring the charts all day. This is the main function for what Etoro is famous for. 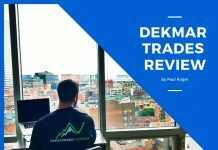 They provide you the ability to find traders that have proven to be profitable in the past, and to put your money to automatically copy their trades. I have written about this in depth in my etoro review article, I recommend you to check it out. Here is an example of a profitable trader that you could copy. You can see from here that he has managed to earn a 109% of return in the past 12 months. You can also see his monthly performance. This is someone that I’ve chosen to copy myself. I also monitor his trades and ask him questions occasionally. I do this to improve my own trading skill and to exchange ideas, ask for the reasons behind his trades. The copytrading feature is a real innovation, which was introduced to the market in 2007 already. And the concept seems to work, as Etoro has managed to win over 6 million traders into their platform, out of which, there are ca 100 000 people to copy from. This cool feature lets you see what the majority of the traders are doing. 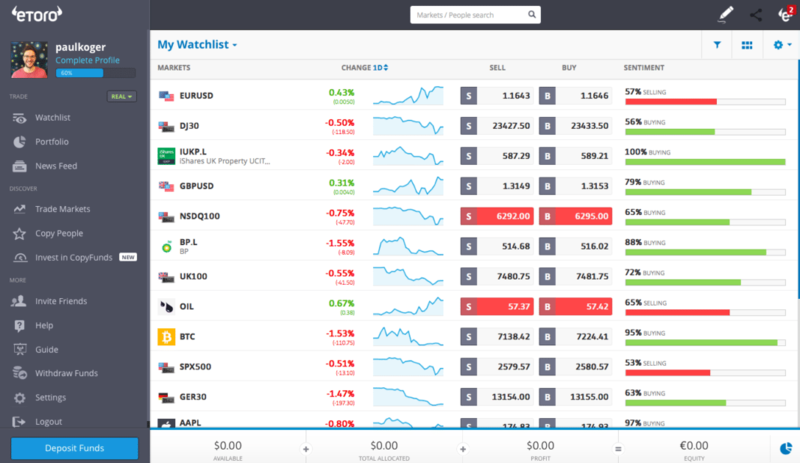 And since Etoro has so many users, it gives you a pretty good overview of what the general market consensus is. Why should you care? Good question – because you could use this information to trade as a contrarian. 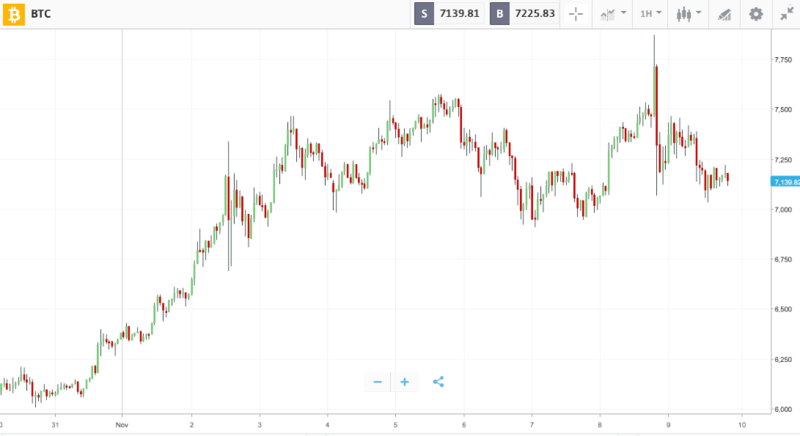 The idea is that if 90+% of people are long a particular currency pair or stock, then there aren’t many people left to buy it to push the price even higher, while there are a lot of people who could sell the instrument when they see that the price is not going any higher. Once they abandon ship, you are able to lock in your profits from going against the crowd. In the example above, I’m checking the current market sentiment. Wha I see is that the vast majority of Australian Dollar to Canadian Dollar traders have gone long the pair. It seems obvious, because I can see from the small chart that the price is down. They are expecting the price to go up again. Now in reality the market is trending downwards. So many people are waiting for a bounce, but if it doesn’t happen, they will all sell their positions, pushing the price further down. You as a contrarian, could use this information to bet on the price continuing to go down and go short the pair. As I said in the beginning, I personally prefer Etoro out of the two, but I am only one person. It would be a great help to other readers if you could share your own experience with either of the two brokers discussed. So if you have any experience with Plus500 or Etoro, please share your thoughts below. Thank you and good luck with your trading ventures.